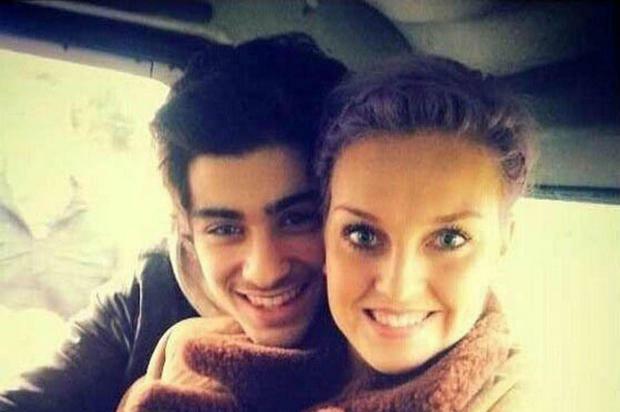 Zayn Malik and Perrie Edwards' wedding plans are apparently "up in the air". The One Direction heartthrob proposed to the Little Mix singer at the end of last month, with Perrie showing her sparkling ring off at the This Is Us London premiere. While there have been reports the wedding could take place before the end of this year, their busy schedules could prevent the stars from tying the knot. "They ideally want to be married by Christmas, preferably in an exotic location, and Zayn has promised that money is no object - there's talk of a £1 million budget. No one doubts they're crazy about each other, but plans are proving difficult as Zayn and Perrie are both so busy," a source explained to British magazine Star. "They've had to discuss waiting until next June, although neither of them wants to wait. Perrie has confided that she sometimes feels like the odds are stacked against them and that they're never going to find a date that works for everyone. Everything is up in the air." Zayn, 20, has been busy promoting the film This Is Us with his bandmates Harry Styles, Niall Horan, Liam Payne and Louis Tomlinson and recording new music. Meanwhile Perrie, also 20, has been busy with her band Little Mix and isn't looking forward to being away from her fiancé while he tours with One Direction. "Zayn and Perrie are dreading having to spend the next couple of months apart while One Direction tour Australia and New Zealand," the insider admitted. Earlier this year the couple were rocked by claims Zayn had cheated on Perrie with an Australian waitress. They managed to save their relationship, but friends and family are still said to be concerned about their hasty wedding plans. "Everyone hoped that Perrie and Zayn would have a long engagement because marriage is such a big step at their age," the source continued. "Their families are reassuring them there's no need to rush and they have their whole lives ahead of them."